What does it take to maintain and care for industrial ovens? Industrial ovens need the care and maintenance they command. This ensures that they offer uniform and excellent baking and heat treatments over their life cycle. 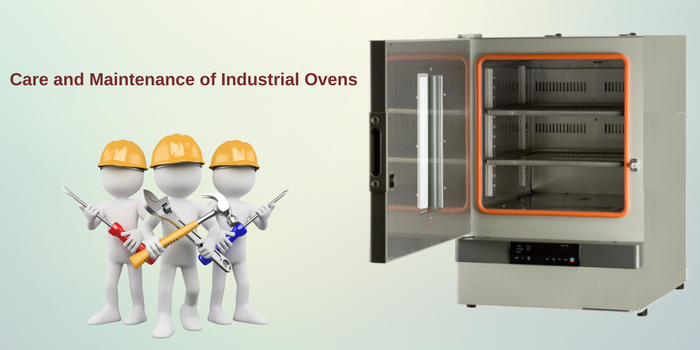 Some electric curing oven suppliers guide you on how to maintain and care for your industrial ovens. Industrial ovens have not changed much over the years- they still use insulated chambers, employ a method of heat transfer, and facilitate heat treatment. Today, ovens are much more advanced in terms of their reliability and efficiency. They allow for safe and controlled operations and offer a wide variety of operations. Modern ovens have become complex it has become difficult to gauge their working temperatures, adjust them, and maintain uniform temperatures. These ovens today are offered by electric curing oven suppliers and need better care and management. Only to work with these ovens requires a deeper understanding and specialization. Oven maintenance and care are highly critical because the care we offer to our industrial equipment makes them function more smoothly with lesser hurdles. The Blower – The blower motor is one of the most integral features of an oven. Proper and regular lubrication of the motor is crucial for the oven to perform at its peak performance. Suitable oil should be applied at the front and back of the motor. It important to pay heed to the instructions offered by electric curing oven suppliers and manufacturers to be completely aware of the right process. The oven blower must be kept clean and free of debris and dirt for smooth operations and for eliminating the possibility of sudden stoppage. Location of Oven – The blower motor should not be placed where there is a blockage of the flow of air. Therefore, the location of the oven in an industrial setting becomes quite necessary a factor to consider when talking about its maintenance. The air inlets and outlets should not be restricted so that the airflow through the oven is uniform. Power supply – The correct power supply is crucial to smooth oven operations. When your oven exhibits irregularities in operations, it can be the problem of the power supply. A buck-boost transformer can be used to correct the power going into an oven. Sensors and Connectors – Any failure in a sensor or connector can lead to catastrophic failures. If sensors are faulty, there can be inconsistencies in the heating mechanism and the products being heated in the oven can also get damaged. Therefore, a regular replacement of sensors and connectors is vital to maintain an oven and to get the complete potential of its working. Heating Elements – In an industrial oven, the heating elements are its core. Check the heating element for any dirt or foreign contaminants. These things build up over time and hamper the smooth heating treatment process. Clean the heating tubes regularly to prevent this from happening. Any loose connections or unwanted contact between the heating element and the other components can render the oven of no use. Take care of the heating elements and their cleanliness to ensure smooth and long-term operations. Heat Seals – If any heat seals installed between doors, ports, and gaskets have witnessed breakage, it can lead to heat loss and decreased efficiency of heating treatments from the oven. Check these to improve and maintain the productivity of the oven. These maintenance tasks should be taken care of at regular intervals, so that the industrial ovens function as expected, for longer periods. For certain operations such as internal inspection and professional help, seek our assistance. At Shivang Industrial Furnaces, we take care of such maintenance tasks and facilitate long-term operations from your ovens in industrial settings. My brother recommended I might like this website. He was entirely right i like it very much. Our <a href="https://pinoytambayanpinoytv.com/">pinoy lambingan tv</a> update you with the best video service purposefully to the Overseas Filipino Workers. This post truly made my day. The fundamental goal of any organization is to expand investor's riches. The primary way organizations accomplish this goal is through interests in genuine and monetary resources. An organization takes a gander at different outer techniques which incorporate mergers and acquisitions and also inward methodologies, for example, expanding generation from inside. Before settling on an official choice on what kind of resources for put resources into or what system ought to be utilized, an organization ought to apply different valuation methods to these undertakings or proposition keeping in mind the end goal to see which venture increases the value of the organization. please do download the latest mod apk for free. Such an interesting post. My favourite platform is Reddit where I can tell you my opinion on <a href="https://www.reddit.com/r/GetStudying/comments/ahdct3/best_essay_writing_services_on_reddit_in_2019/">https://www.reddit.com/r/GetStudying/comments/ahdct3/best_essay_writing_services_on_reddit_in_2019/</a>.